Please note that the library is now OPEN until 9:00 pm on Tuesdays. The Grand Island Memorial Library will host an eReader Open Lab to assist patrons with borrowing electronic books from the library. The class will take place on Saturday, January 12 from 10:00 am to 1:00 pm. Bring your Kindle, Nook, iPad, or other e-Device (and power cord) to the Library to learn how to borrow e-Books from OverDrive. Participants will also need to bring their library cards. Registration is not required. Patrons will be assisted in order of arrival. For more information call 773-7124 or visit the library. There will be a Winter Session of the Preschool Story Hour at the Grand Island Memorial Library featuring stories, songs and crafts for children 3 to 5 years old. Children must be 3 years old by January 28, 2013. The program will be held on Monday mornings, from 10:30 a.m. to 11:30 a.m. beginning on January 28 and on Tuesday afternoons from 1:30 p.m. to 2:30 p.m. beginning on January 29. There will be a Winter Session of the Toddler Time Lapsit at the Grand Island Memorial Library featuring stories, songs and fingerplays for children 18 months to 3 years old. Each child must be accompanied by an adult caregiver. Children must be 18 months old by January 30, 2013. The program will be held on Wednesday mornings, from 10:30 a.m. to 11:00 a.m. beginning on January 30. Registration is required for all of these children's programs. For more information, or to register, call 773-7124, or sign up at the library. The Grand Island Memorial Library announces special holiday hours. The library will be closed on Monday, December 24 and Tuesday, December 25 in observance of the Christmas holiday. The library will be open Monday, December 31 from 10:00 am - 5:00 pm and closed on Tuesday, January 1 in observance of New Year�s Day. Make a Graham Cracker House will be held at the Grand Island Memorial Library on Saturday, December 8 at 2:00 and 3:00 p.m. All ages are welcome; however, we ask that parents accompany children ages 6 and younger to the program. Space is limited and registration is required. Registration begins November 14 at 9:00 am. For more information, or to register, visit the library or call 773-7124. This program is funded with proceeds from the 2011 Rare Affair Library System Gala. The Grand Island Memorial Library announces special hours on Tuesday, November 6, Election Day. The library will open at 10 a.m. and close at 9 p.m. There will be no Pre-school Story Hour that day. Wednesday - 10 a.m. � 5 p.m.
Thursday - 1 p.m. � 9 p.m.
Friday - 10 a.m. � 5 p.m.
Saturday - 10 a.m. � 5 p.m. The VNA will offer Flu & Pneumonia Vaccinations at the Grand Island Memorial Library on Saturday, November 3 and November 10 from 12:00 p.m. to 3:00 p.m. Bring your insurance card. Make room on your bookshelf. The Friends of the Grand Island Memorial Library will be holding a used book sale at the Library from 5 p.m. to 8 p.m. on Friday, November 16, 2012 (Friends members only, memberships available at the door) and from 10 a.m. to 3 p.m. Saturday, November 17, 2012. The bag sale ($2) will wrap up the event from 1-3 p.m. on Saturday. If you would like to help with sorting book donations or staffing for the sale, call the Library at 773-7124. Book donations are gratefully accepted during Library hours. The Grand Island Memorial Library is proud to present Glenn Colton in concert 2 p.m. Saturday, October 13. All ages are welcome, however, we ask that parents accompany children ages 6 and younger to the program. No registration is necessary. For more information visit the library or call 773-7124. This program is funded with proceeds from the 2011 Rare Affair Library System Gala. Pumpkin Palooza will be held at the Grand Island Memorial Library on Saturday, October 27, 2012 at 2 p.m. for children ages 3 to 8 years old. There will be pumpkin themed stories, crafts, games, candy and prizes. Space is limited and registration is required. Caregivers are welcome and we ask that parents accompany children ages 6 and younger to the program. Registration begins October 1, 2012. To register, or for more information, call 773-7124 or visit the library. The Grand Island Memorial Library will present Jumpstart�s Read for the Record on Thursday, October 4 at 6:30 p.m.
Help us �Read for the Record� to break a world record for the number of children and adults reading the same book, "Ladybug Girl and the Bug Squad." Join us for a family story time and simple craft. This program is for children ages 5 � 8. For more information or to register, visit the library or call 773-7124. The program is funded by the Friends of the Grand Island Memorial Library. The Grand Island Memorial Library will be closed on Monday, October 8 in observance of Columbus Day. A big screen television was dedicated in memory of Library Trustee and Friends of the Grand Island Memorial Library Treasurer Scott Smith on Thursday, August 23. The Friends of the Library used funds donated in memory of Scott Smith to purchase a 60-inch television, Blu-ray/DVD player and other equipment for the library. 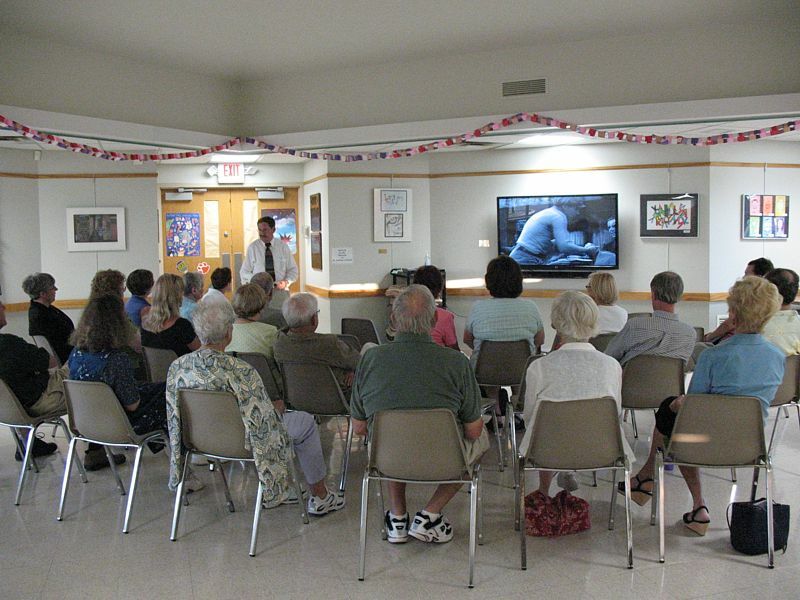 The library plans on showing films for families on Saturday afternoons in the fall. �In memory of Scott Smith 1957 � 2010 whose leadership and foresight are celebrated and remembered by the Friends and Trustees of the Grand Island Memorial Library.� Dedicated August 2012. The Grand Island Memorial Library is proud to present Glenn Colton in concert on Saturday, October 13 at 2:00 p.m.
All ages are welcome; however, we ask that parents accompany children ages 6 and younger to the program. No registration is necessary. For more information visit the library or call 773-7124. This program is funded with proceeds from the 2011 Rare Affair Library System Gala. The Grand Island Memorial Library will sponsor Downloads 2 Go to assist patrons with borrowing electronic books from the library. The class will take place on Friday, September 28 from 1:30 p.m. to 4 p.m.
Bring your Kindle, Nook, iPad, or other e-Device (and power cord) to the Library to learn how to borrow e-Books from OverDrive. Participants will also need to bring their library cards. Registration is required and space is limited. For more information, or to register, call 773-7124 or visit the library. 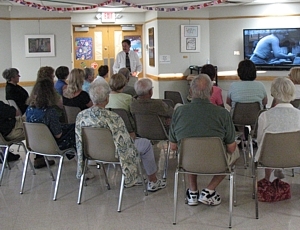 The Grand Island Memorial Library will present a series of Adult Computer Classes. Introduction to eBay Friday, October 26 10 - 12 (for advanced computer users) Space is limited and registration is required. These programs are for adults only. There will be a Fall Session of the Preschool Storyhour at the Grand Island Memorial Library featuring stories, songs and crafts for children 3 to 5 years old. Children must be 3 years old by September 17, 2012. The program will be held on Monday mornings, from 10:30 a.m. to 11:30 a.m. beginning on September 17 and on Tuesday afternoons from 1:30 p.m. to 2:30 p.m. beginning on September 18. Registration for either session begins on Monday, September 10 at 9:00 a.m. There will be a Fall Session of the Toddler Time Lapsit at the Grand Island Memorial Library featuring stories, songs and fingerplays for children 18 months to 3 years old. Each child must be accompanied by an adult caregiver. Children must be 18 months old by October 3, 2012. The program will be held on Wednesday mornings, from 10:30 a.m. to 11:00 a.m. beginning on October 3. Registration is required and begins on September 19 at 9:00 a.m.
For more information on any of these programs, or to register, call 773-7124, or visit the library. The Grand Island Memorial Library will be closed on Monday, September 3 in observance of Labor Day. The library will be open on Saturdays beginning September 8. 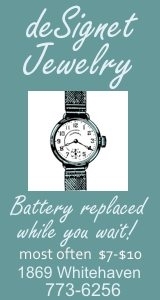 Saturday     10:00 am � 5:00 The library is closed on Sunday. 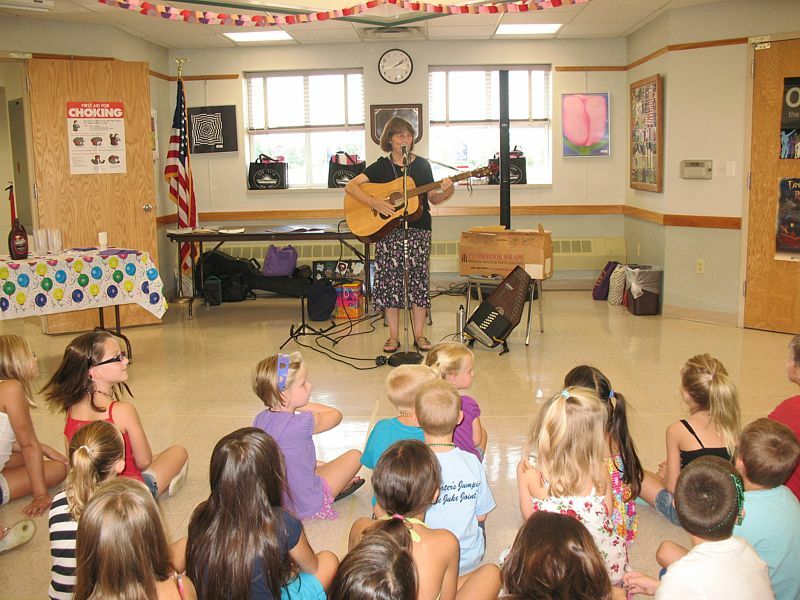 The Grand Island Memorial Library held a Summer Celebration on Thursday, August 16. 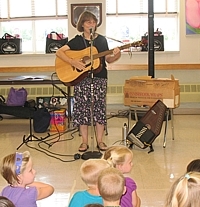 Grand Island resident Nan Hoffman performed songs for over 50 children who gathered to celebrate the Library's summer reading program. The theme this year was Dream Big Read! 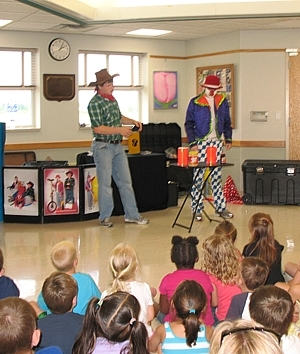 On Tuesday, August 14, 2012, the Grand Island Memorial Library was the setting for 'Charlie & Checkers' and their hilarious performance of juggling, feats of magic, and humorous escapades! Over 140 children and adults hooted and hollered and had a fun time! 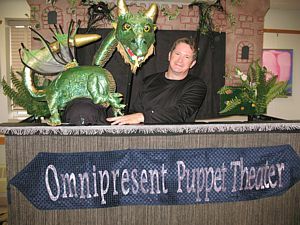 The Omnipresent Puppet Theatre presented "Sleeping Beauty" to a group of over 75 children and parents on Thursday, August 2, 2012 at the Grand Island Memorial Library. 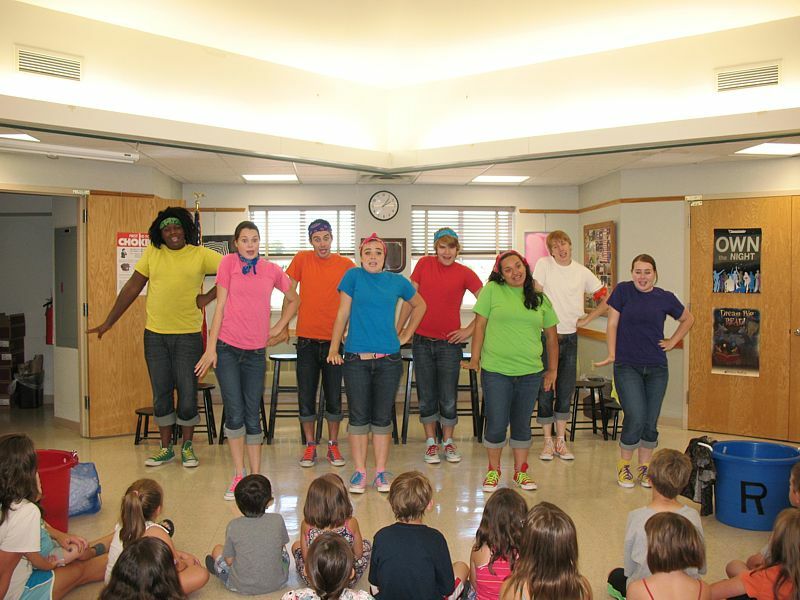 On Monday, August 6, the Niagara University Repertory Theatre visited the Grand Island Memorial Library. 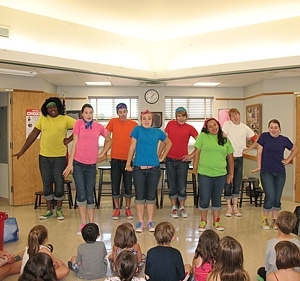 Over 40 children and adults were entertained in song and story by a group of very talented theatre students from Niagara University. The Grand Island Memorial Library presents Summer Specials @ the Library! Thursday, August 2, 2:00 � 3:00 pm. Omnipresent Puppet Theatre presents Sleeping Beauty. This program is for ages 6 � 12. Monday, August 6, 2:00 � 3:00 pm. Niagara University Repertory Theatre Performs some of our favorite stories! All ages welcome; children under age 5 must be accompanied by an adult. Tuesday, August 14, 2:00 � 3:00 pm. Charlie and Checkers, magicians and jugglers. For more information visit the library or call 773-7124. These programs are funded with proceeds from the 2011 Rare Affair Library System Fundraising Gala. 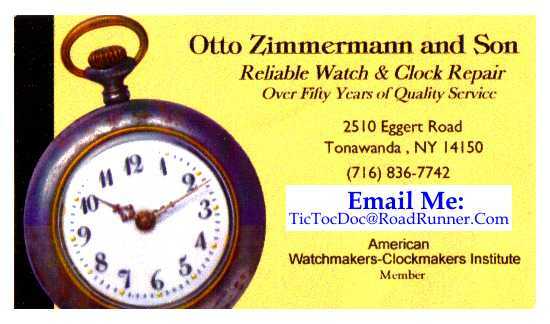 OPEN Monday 10:00 a.m. to 9:00 p.m.
Tuesday, Wednesday and Friday 10:00 a.m. to 5:00 p.m.
Thursday 1:00 p.m. to 9:00 p.m. The library is CLOSED ON SATURDAY AND SUNDAY. Summer hours begin the week of June 18 and continue through the Labor Day Holiday. The Battle of the Books informational meeting for the 2012 team will take place on Monday, June 25 from 1 p.m. to 1:30 p.m. Teens entering grades 6, 7, 8 & 9 in the Fall of 2012 are invited to come to the library to sign up to participate in the Battle and to receive their books. For more information, or to join the team, call the library at 773-7124. Tuesday 10:00 am � 5:00 pm. Wednesday 10:00 am � 5:00 pm. Friday 10:00 am � 5:00 pm. Saturday 10:00 am � 5:00 pm. The Friends of Grand Island Memorial Library are pleased to announce a very special annual meeting program: the authors and illustrator of a children's book about music and African American history, Dr. Donna Kester Phillips and Dr. Raphael Heaggans, along with illustrator Amy Kowzan. Come and hear all about this new book and how it is being developed on Thursday, May 31 at 7 p.m. in the meeting room at the library, 1715 Bedell Road. The annual meeting begins with a short amount of business including the election of three officers and three board members. Refreshments will follow the presentation. Dr. Phillips is an Associate Professor of Education at Niagara University and has worked extensively as an educational consultant with the Buffalo public schools, surrounding school districts, and in other states helping teachers develop their skills in teaching reading and writing. She has published and presented at national conferences on literacy and literacy instruction and writes the monthly children's book review, "Pick of the Literature," for the Western New York Family Magazine. Her first book, 50 Differentiated Literacy Strategies to Engage Adolescent Learners, is scheduled to be published in 2013. Dr. Heaggans is an Associate Professor of Teacher Education at Niagara University, a consultant for the National Alliance of Faith and Justice in Washington, D.C. and the author of several works including a book entitled The 21st Century HipHop Minstrel Show: Are We Continuing the Blackface Tradition? He has facilitated workshops in several US states and parts of Canada on gang prevention strategies in the schools, media and economic literace and anti-poverty education. Join the Friends of the Library for this most informative program! There will be a Pinkalicious Party at the Grand Island Memorial Library on Saturday, May 5, 2012 at 2:00 p. m. for children ages 3 to 8 years old. There will be stories, crafts, games and cupcake decorating. Space is limited and registration is required. Caregivers are welcome and we ask that parents accompany children ages 6 and younger to the program. To register, or for more information, call 773-7124 or visit the library. 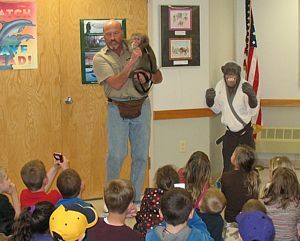 National Library Week was celebrated at the Grand Island Memorial Library by 275 children and adults who attended two sessions of Monkey Business presented by Carmen Presti of the Primate Sanctuary. Funding for the program was provided by funds from the 2011 Rare Affair Library Fundraising Gala at the Buffalo and Erie County Public Library. 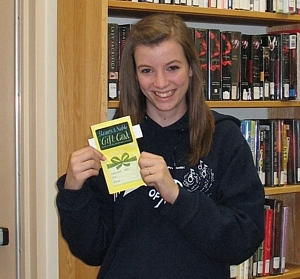 Julia Shipman (Grand Island Memorial Library), was the winner of one of the $50 Barnes and Noble gift cards from the Teen Top Ten Contest sponsored by the Buffalo and Erie County Public Library. She was delighted to learn that she was one of the system's winners. There will be a Spring Session of the Toddler Time Lapsit at the Grand Island Memorial Library featuring stories, songs and fingerplays for children 18 months to 3 years old. Each child must be accompanied by an adult caregiver. Children must be 18 months old by April 25, 2012. The program will be held on Wednesday mornings, from 10:30 a.m. to 11:00 a.m. beginning on April 25. Registration is required and begins on April 11 at 9:00 a.m. For more information, or to register, call 773-7124, or sign up at the library. There will be a Spring Session of the Preschool Storyhour at the Grand Island Memorial Library featuring stories, songs and crafts for children 3 to 5 years old. Children must be 3 years old by April 23, 2012. The program will be held on Monday mornings, from 10:30 a.m. to 11:30 a.m. beginning on April 23 and on Tuesday afternoons from 1:30 p.m. to 2:30 p.m. beginning on April 24. Registration for either session begins on Tuesday, April 10 at 9:00 a.m. For more information, or to register, call 773-7124, or sign up at the library. In celebration of National Library week, the Grand Island Memorial Library is proud to present �Monkey Business� presented by Carmen Presti of the Primate Sanctuary on Wednesday, April 11. 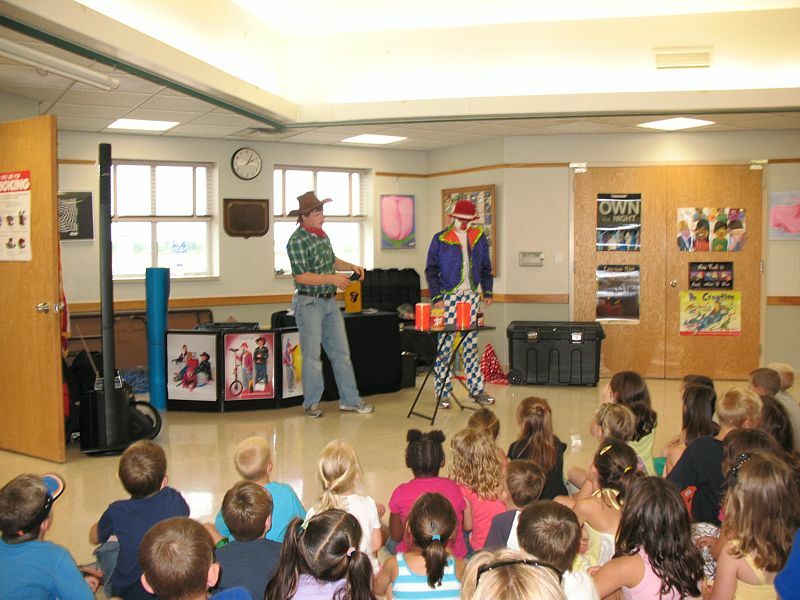 There will be 2 shows, one at 1:45 p.m. and the other at 3:00 p.m.
All ages are welcome; however, we ask that parents accompany children ages 5 and younger to the program. Space is limited and registration is required. For more information, or to register, visit the library or call 773-7124. The Grand Island Memorial Library will be closed on Friday, April 6, 2012 in observance of Good Friday. The library will be open on Saturday, April 7 from 10:00 am � 5:00 pm. The library is closed on Sunday. A used book sale will be held on Friday, March 30 and Saturday, March 31, 2012, in the Community Room of the Grand Island Memorial Library at 1715 Bedell Road, Grand Island, New York. 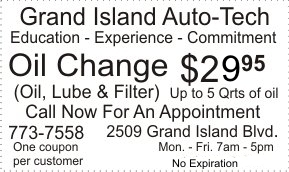 This sale is presented by the Friends of the Grand Island Library. The sale starts on Friday, March 30 for Friends of the GI Library only from 5 � 8 p.m. Memberships for the Friends are available at the door; annual individual memberships are $3 and individual life memberships are $35. Annual family memberships are $5 and family life memberships are $50. There will be a bid table containing special items with the bids closing at 12:00 noon. The winning bidders will be contacted after the bids have been determined and they must pick up and pay for their items within 30 days. On Saturday, March 31, the sale runs from 10:00 a.m. to 3:00 p.m., and the bag sale runs from 1:00 p.m. to 3:00 p.m. The sale closes at 12:45 to prepare for the bag sale. Each bag of books is $2.00 which is a terrific bargain! If you would like to help with this sale or become a member of the Friends, please leave your name and phone number at the main desk in the library, 773-7124. We would love to have new members to help sort donated books and keep the sale cart near the main desk stocked with books. Anyone who loves books, uses the library, and can spare a small amount of time is encouraged to come and join a great group of dedicated library friends. Over 200 children, parents and grandparents attended the Nickel City Reptile program presented at the Grand Island Memorial Library by Jeff Musial on February 22, 2012. "We had a standing room only crowd!" a Library spokesman said. The program was funded with proceeds from the Buffalo and Erie County Library 175 Anniversary Gala Fund. The Grand Island Memorial Library will be closed on Monday, February 20 in observance of President�s Day. The Grand Island Memorial Library has purchased a number of new juvenile and young adult paperbacks, necessitating the need for additional paperback racks. 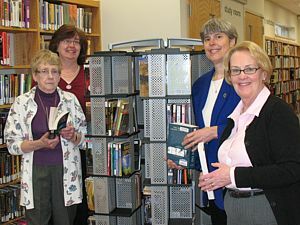 The Friends of the Grand Island Memorial Library agreed to purchase two new paperback racks with the funds earned at their November book sale. Speaking of book sales, the Friends of the Library will be holding another sale on March 30 and March 31 in order to continue to support the library�s future endeavors. 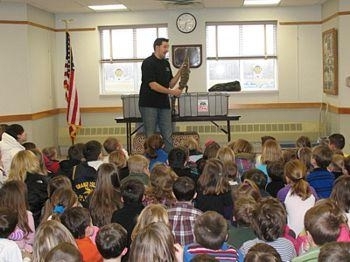 The Grand Island Memorial Library is proud to present the Nickel City Reptiles presented by Jeff Musial on Wednesday, February 22 at 2:00 p.m. All ages are welcome; however, we ask that parents accompany children ages 5 and younger to the program. No registration is necessary. For more information visit the library or call 773-7124. This program is funded with proceeds from the 2011 Rare Affair Library System Gala. Library Program - Downloading eBooks will be held on Saturday, February 18 from 1 - 3 pm. This is a hands-on introduction to downloading eBooks from the library's website for use on home computers and other personal electronic devices. The focus will be on the Nook and Kindle. Students are encouraged to bring their own reader devices. Registration is required and class size is limited. To register, or for more information, visit the library or call 773-7124. The Grand Island Memorial Library will be closed on Monday, January 16 in observance of Martin Luther King, Jr. Day. Space is limited and registration is required. To register, or for more information, visit the library or call 773-7124.